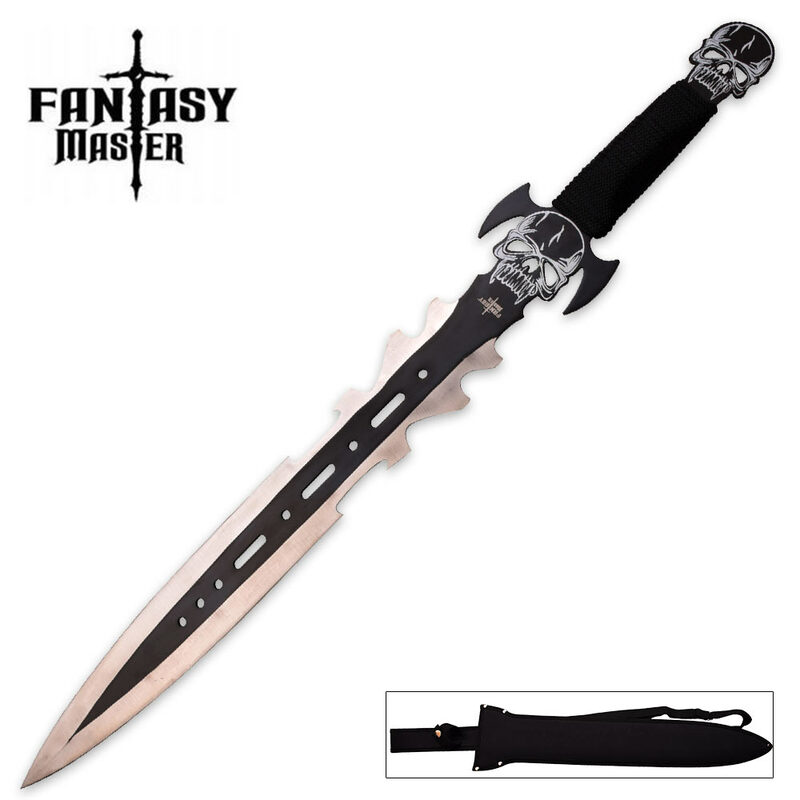 Fantastically alluring but seriously potent, the NightGhoul Fantasy Short Sword from Fantasy Master is a savage delight. 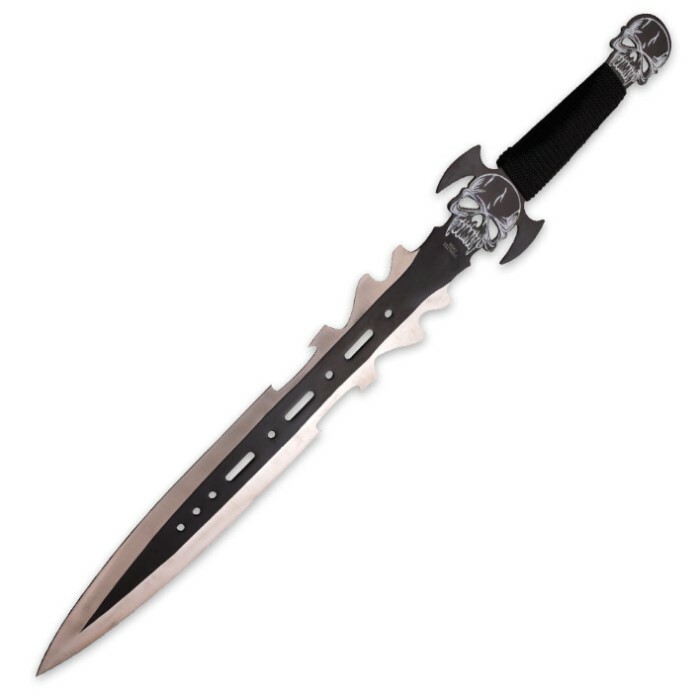 Forged from a single piece of rugged stainless steel, the NightGhoul is more than a mere "fantasy sword," built too solidly to be relegated to a shelf or display case. Slay demon hordes or even real-world cutting jobs around the house! Double edged and wicked as hell, the stainless steel spear point blade boasts a sharp edge with serious cutting power. The bevel is satin finished, which beautifully offsets the matte black center. Uniquely designed, the NightGhoul's profile is sinister and downright devilish, with sharply angled appendages and a skull-outlined pommel and guard. The handle is wrapped in soft black cord for a sure grip and all-around fantastic wielding experience, and the included shoulder sheath makes it easy to transport.